Point Of Sale PHP Script are crafted for people who want to effectively manage bills, purchase details, sales info, and other complex business details. Therefore, after doing a lot of research and testing we have listed down 6 Best Point Of Sale PHP Scripts that are responsive, user-friendly, and come equipped with advanced facilities. All these scripts will help you extract sales reports with various details like date, amount, discount, taxes and coupons applied. In addition, multiple invoices can be generated and custom bills can be sent to the customers via emails. There is a lot more which these scripts have to offer, so let’s get on with the details of the scripts. This is one of the most frequently updated PHP script which holds various sales and inventory management features. With the help of Stock Manager Advance script, you can simply update stock info, view sales, purchases, and this information can be viewed from different devices. Regular license charged an amount of $42 for all the basic features and amenities. The extended plan charged $1225 for all enhanced features and advanced services. The script allows you to add, edit, delete as well as view details related to sales and payments. You can collect online payments from multiple payment gateways like PayPal, Stripe and credit cards are also accepted. Manage and record different type of order delivery for sales as well. With this point of sale script, you can easily send notifications to staff members and customers. You also get options to include a custom logo, multi-currency support, customer grouping, email templates and multi-lingual support. POS point of sale is a PHP script specially designed for those who want to handle a complex billing system with multiple customer and products. With this script, you can add multiple taxes, generate invoices, collect payments, manage products and more with ease. In addition, you can also define custom discounts, add categories and product customizations. The regular license of this POS script comes with a price tag of $20. 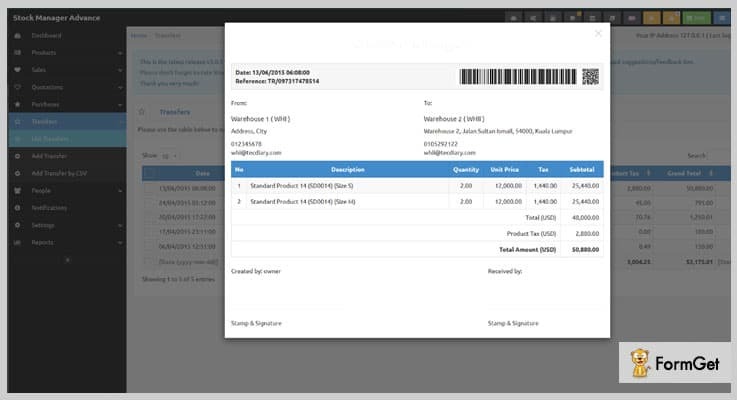 It will offer inventory management, invoice handling, with free updates and 6-month support. The extended license will cost you around $525 which includes various customizations, user-friendly dashboard, invoice details, etc. With this script, you can create custom invoices, apply different theme color options, add custom brand logo and favicon. The dashboard will help you view customers, products, and total sales along with the last 10 transaction details and yearly sales statistics. This PHP script permits you to add, edit & delete different type of products, supplier details, categories and users from the admin panel. You can copy or export various product, invoice and other details in the form of Excel or PDF files with a single click. If you want to update stock, sales, products and other business details with ease then MC Point Of Sale Script will be best for you. This script is specially designed for restaurants, shops, medium and small organizations. It is pre-equipped with easy to use interface, customer management, account grouping and order detail system. $19 is the price which is payable for the first plan of this point of sale system. This plan comes with entry-level services, responsive design, and future updates. For the second plan of this script, you will be charged an amount $95 and it will offer enhanced features and other facilities. This PHP script helps you perform effective management of sales, orders, clients, suppliers, etc. 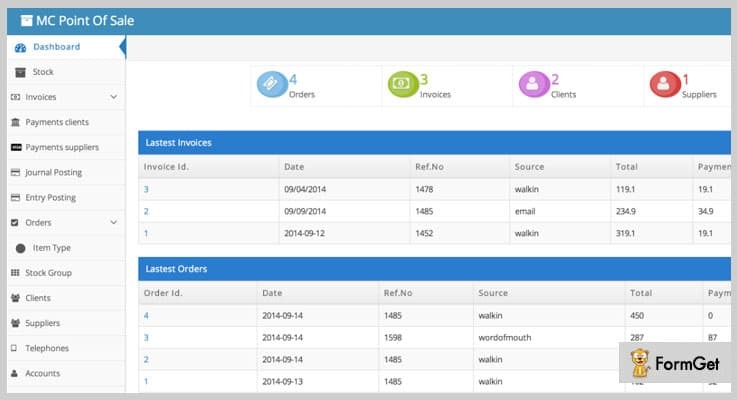 It offers an easy to use dashboard through which you an overview of the latest invoices and orders. Plus, you can handle stocks, client details, and more. This script supports all latest browsers like IE11, Firefox, Safari, Opera, Chrome and you get multiple customizations and setting options as well. It also helps you create custom invoices which hold various details like client info, delivery details, quantity, amount, taxes, and discounts as well. 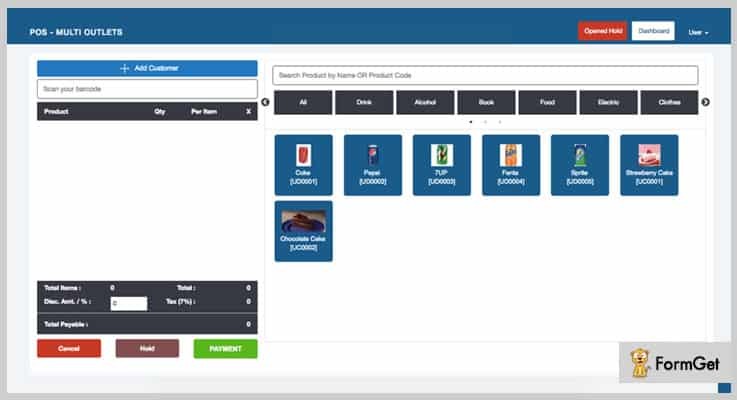 With Shopy Point Of Sale script, you can manage store details like sales, purchase, product inventor, etc. It will help you keep an updated record of both customers and the vendors of your business. 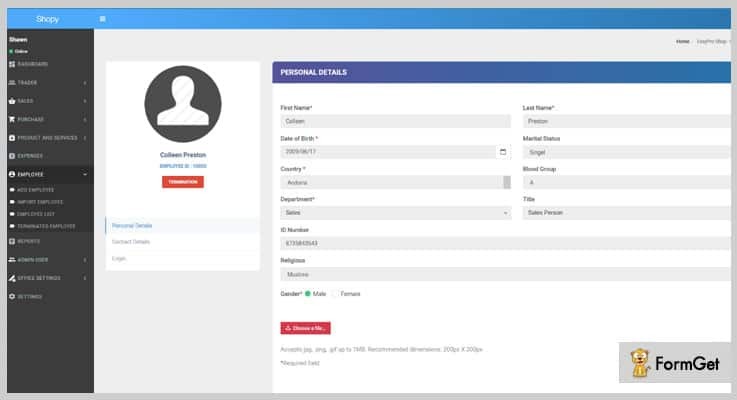 Plus, you effectively handle employee details, apply custom taxes, and generate unique barcodes for each product. For the regular plan, you will charge $39. With this plan, plenty of POS features, customizations, updates and support will be offered. For the extended plan of this script, you will have to pay $525. It will include various enhanced features, cross-browser support, multiple languages and more. It provides an advanced admin panel using which you can monitor various statistics related to sales, profits and other essential factors of POS. Helps you generate different types of reports for sales & purchase, customer, vendor, product & services, etc with various details. All these reports can be copied or downloaded in CSV, Excel, or PDF file formats. You are allowed to add products with details like images, product name, cost, type and other details. Plus, you can manage product categories, product list, and other details. This PHP script supports more than 70 globally spoken languages. In addition, you can add any language, activate or deactivate different languages with this script. POSBuilder is another responsive PHP script that comes loaded with features like multi-login facility, advanced admin panel, unique user dashboards, and more. Using this script you can easily send custom email to various contacts and track their actions on the emails. Admin can easily manage gateway details, general info, purchase history, etc from the dashboard. With the regular plan you get a quality check, frequent updates, and basic POS functionalities at a cost of $40. For the extended version of this PHP script, you will have to pay $205. It will hold advanced features and facilities for different types of users like admin, the site owner, etc. Payments can be accepted from multiple payment modes like PayPal, Stripe, Bitcoin, etc. You can simply add, delete and edit packages, owner details, and update general website information. With POSBuilder PHP script you get 5 different login facilities for the admin user, website owner, warehouse or storekeeper, outlet management and salesman. It also provides deposit section through which deposit details like ID, username, amount, payment method, request date, etc can be handled with ease. Multi Outlets POS is a PHP script that enables you to control multiple outlet details like invoices, products, order reports, discount details and more. You can easily export reports in the form of Excel and other file formats, manage gift cards, return item details, etc with this script. 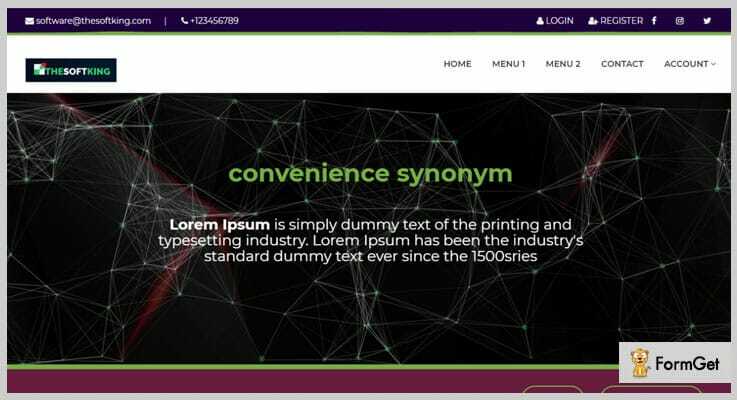 It is fully responsive to all devices and comes with a multi-language support. The price of the regular license of this PHP script is just $22. Extended license comes with a price tag of $115 and offers 6-month support, updates and other services. It has a user-friendly dashboard through which you can manage monthly sales, customer details, reports, users info and more. With this script, you can define three type of user roles which are admin, manager, and staff. The admin (owner) get the permission to handle multiple outlets with different managers. Allows you to add new expenses with details like exp number, category, outlets, date, amount, etc. Plus, you also get custom search option along with edit and delete permissions. This PHP Point Of Sale script helps you generate custom receipts for different outlets and you can easily print or email payment receipts to the customer with ease. 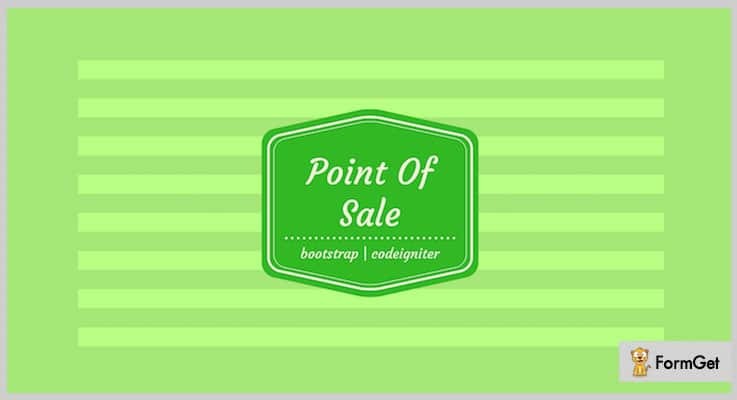 Finally, we are all done with the 6 best Point Of Sale PHP Scripts in this blog. I am hoping that you will find a suitable script for your business which will help you achieve great heights. In case of doubts or queries related to the listed PHP scripts or this topic. Feel free to mention them in your comments below, we will try to get back on them as soon as possible.